Cono Sur Bicicleta was born in 2012 as a tribute to the vineyard workers who ride their bikes among the vines each day. The bike is an icon of our eco-friendly practices and represents the challenge of discovering Cono Sur?s New World through its varieties and origins. In 2017, Cono Sur decided to relaunch the wine with a completely new design. 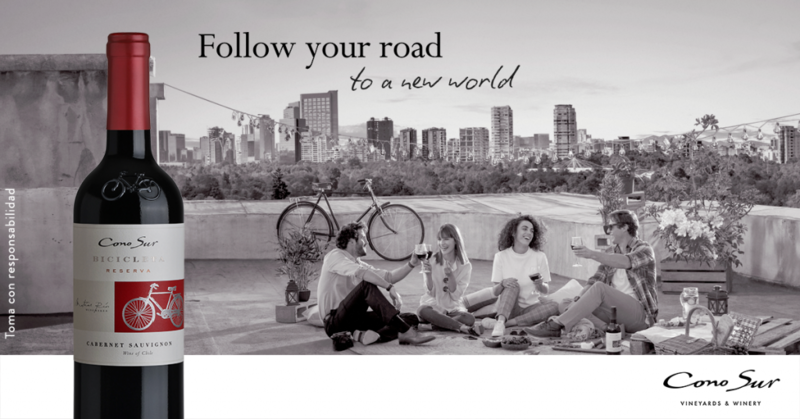 The UK was the first country to receive Bicicleta?s new look. Today the new packaging is already available in the 78 markets the wine is sold. Chile stood out with its successful advertising campaign in both offline and online medias. From July to September, the wine?s new image was advertised in El Mercurio, in out-of-home placements such as billboards and digital screens. As for digital, the brand was promoted at Emol and in relevant Social Media platforms, where it registered 700k+ unique users reached and more than 43k engagements.